Oh, what happened to 5-year-old Saroo. He’s already living a tough life in India, trying to please his wily older brother Guddu and in turn their hard-working mother, navigating the dusty streets and mean markets to bring home a few coins and maybe a couple slim bags of milk to fill cups from them and their baby sister. And then comes the night he talks the teen into letting him come to the train station with him. The boy falls asleep on a bench, crawls onto a seat on a stalled train when he groggily awakens alone and vaguely recalls Guddu’s admonishment to wait there and … finds himself barreling alone to who-knows-where-and-what when he finally comes fully, scarily, to his senses. A nightmare, really, this tale directed by Garth Davis from the screenplay written by Luke Davies based on the book A Long Way Home written by that very Saroo Brierley. The movie got me but good. The kid who must fend for himself on the full, clamoring streets of a strange city teeming with people speaking a strange dialect is played with great pluck and charm by Sunny Pawar. After he’s adopted by a loving Australian family, he grows up to become a fine young man played by the erstwhile Dev Patel. Adult Saroo meets a young woman played by the wonderful Rooney Mara. She knows a good man when she sees one, brought up by fine parents played by deep Nicole Kidman and stolid David Wenham. Soon enough, though, adult Saroo can’t escape thoughts of that time in India. Internet research leads to more recollections, a breakthrough thanks to Google Earth and a trip back to those roots. What Saroo finds, in the flesh and for his soul, had me in goose pimples as I watched riveted on my living room flat screen. Director Davis allows us to meet the real life people after his version ends. It’s the fitting and proper touch. This sounds like a brilliant film I shall look for it ! 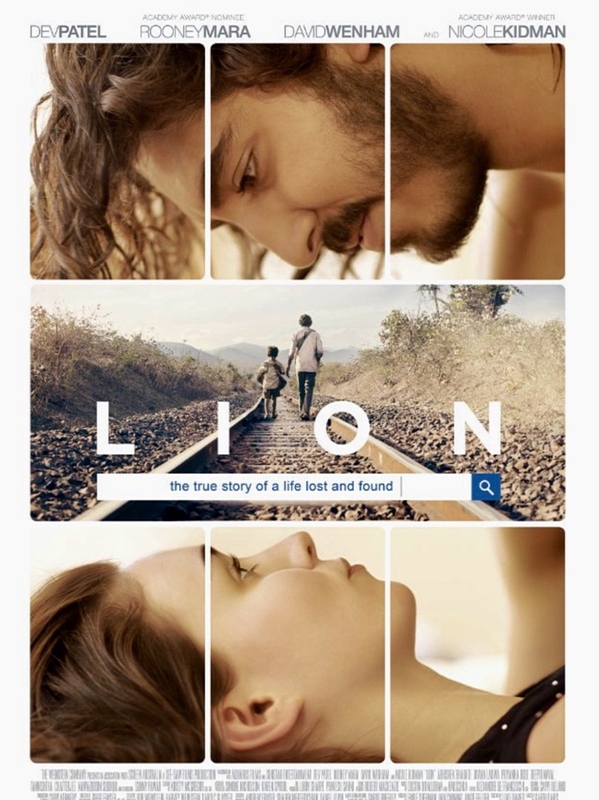 I saw “Lion” on my flight to Edinburgh, Mark, and I loved the ending too! It’s quite the true story, Ann. What a man! Yes, exactly, Beth. It was a heart-tugger for sure. Okay, it’s on my list MBM. That sounds like a good plan MBM!